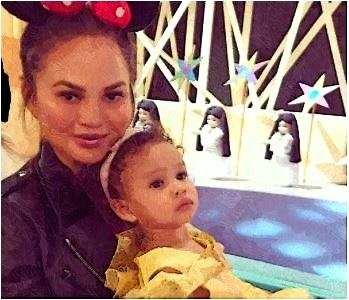 Chrissy Teigen gave a lavish Sesame Street-themed party when her daughter turned 2 years old on Saturday. The American model shared pictures and videos of herself on the social media after preparing Luna’s birthday bash with husband John Legend for weeks. The party had a big Sesame Street cake, which had complete faces of Cookie Monster, Big Bird, and Elmo. She also shared a cute video of her daughter, who was watching her dad’s appearance on the children’s TV show, and the special message he and co-stars recorded for her. She also wrote a birthday message to her daughter, “Happy birthday, loons!!! Mommy and daddy are killing the cake game.” The party wouldn’t be completed without the giant Sesame Street characters made of balloons.